One of the most important student car design competitions has returned. 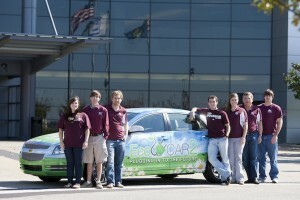 EcoCAR 2: Plugging In to the Future features new schools, new cars and a whole new focus. 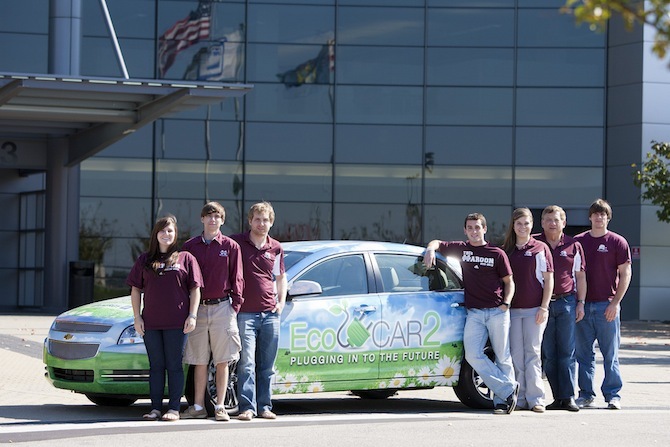 Unlike other student-built car projects, the three-year engineering and design challenge gives college teams an existing vehicle and tasks them with retrofitting it with an innovative and reliable hybrid drivetrain. The winning vehicle can’t be a kit car, either. Competition organizers are looking for production-ready powertrains and showroom-worthy designs. Read more. Argonne's vision is to lead the world in providing scientific and engineering solutions to the grand challenges of our time: sustainable energy, a healthy environment and a secure nation.